In New Jersey, indictable offenses are similar to felonies in other states. An indictable criminal offense is a first degree, second degree, third degree, or fourth degree crime. All indictable crimes carry the potential of at least 18 months of imprisonment, with fourth degree crimes being the least and first degree crimes being the most severe. If you are charged with an indictable offense in New Jersey, you have a right to be indicted by a grand jury and a right to a trial by jury. The process of being indicted and what happens next can seem completely overwhelming. For more information about the indictment process in New Jersey, continue reading and feel free to contact our experienced criminal defense lawyers if you have additional questions. Indictable crime charges such as aggravated assault, heroin possession, intent to distribute marijuana, and unlawful possession of a weapon, are heard in the superior court of the county where you are charged. In other words, a felony charge in Camden County will be heard in the Camden County Superior Court. On the other hand, if you are charged with an indictable offense in Burlington County, your case will be adjudicated in the Burlington County Superior Court in Mount Holly, NJ. After you are charged with an indictable offense, a pre-indictment conference will be scheduled. It is possible for the case to be resolved at this stage, without an indictment ever being obtained. Possible resolutions include waiving your right to a grand jury to participate in pre-trial intervention (PTI) or to plead guilty to a lesser charge. If you do not waive your right to a grand jury indictment and the case is not otherwise resolved, then the evidence will be submitted to a grand jury, comprised of 23 citizens, to review the evidence and determine if there is probable cause to believe you committed the offense. Defendents and judges are not present at grand jury hearings, so it is only the prosecution presenting its evidence to the grand jury. If a majority of the grand jury finds that there is probable cause to believe that you committed the offense, they will issue a “true bill” and you will be indicted, with your case continuing on to trial. If a majority of the grand jury finds the evidence insufficient to establish probable cause, they will issue a “no bill” and the charges against you will be dropped. At a grand jury hearing, the defendant is not present and a judge is not present. This means that the burden of proof is fairly low, with no rebuttal or defense until the trial stage. In limited circumstances, you may be able to file a motion to dismiss the indictment, but the indictment will only be dismissed if you can show that there was an absence of any evidence to support the charges or that the prosecutor improperly influenced the grand jury. What happens after I’m indicted in New Jersey? After you are indicted, your case will be scheduled for trial. Remember that being indicted does not mean that you have been found guilty. It simply means that the grand jury found sufficient evidence to move forward with the prosecution of your case. The standard for being found guilty of a crime in New Jersey criminal court is much higher. The prosecution must convince the jury unanimously that you are guilty of the crime beyond a reasonable doubt. This means that if even one juror finds that there is some doubt to whether you committed the offense, you will be found innocent. An experienced criminal defense attorney can be invaluable throughout the legal process, from pre-indictment to indictment and trial. Often, choosing the right lawyer makes the difference between reasonable doubt and a guilty verdict. If you have been charged with an indictable offense in New Jersey, or if you have already been indicted, contact the experienced criminal defense lawyer William C. Fay at 609-832-3202 to discuss your case. 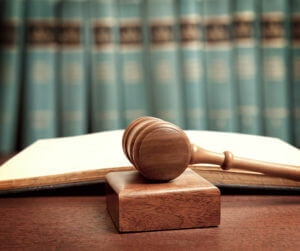 You are innocent until proven guilty and a knowledgeable and skilled lawyer can ensure you receive the best defense. You can reach us anytime for a free consultation with an attorney who can help.